Originally posted on the ANSWER San Francisco website. The weekend of August 16 and 17, it was no more business as usual for the apartheid state of Israel in the Bay Area. On Saturday a mass mobilization stopped the unloading of an Israeli cargo ship. The Zim Piraeus was scheduled to dock and unload at the Port of Oakland on Saturday, August 16. The Zim ship actually arrived in the Bay Area in time to dock on Saturday. But in spite of the full backing of the Oakland police and other law enforcement agencies which “protect” the port, it did not. It was the powerful mobilization of the people that forced the Zim Piraeus to stay at sea in hopes of avoiding the wrath of the movement against Israeli apartheid and the latest genocidal invasion of Gaza. On Sunday, August 17th, the Zim Piraeus finally docked at the Port of Oakland and was scheduled to be unloaded in the evening. A rapid mobilization of organizations and activists brought hundreds of people back to the port by 5:30pm to picket the Stevedore Services of America (SSA) entrance gates. Chanting, “Long Live Palestine,” and “Zim ship you can’t hide, you support genocide,” militant picket lines at four gates lasted for several hours. In the spirit of solidarity, the workers who unload the ships, represented by the International Longshore and Warehouse Union, Local 10, refused to cross the picket lines and did not go to work. An important tradition of solidarity by the ILWU dates back to struggles against many fascist and repressive governments, including apartheid South Africa in 1984, when the ILWU workers refused to cross picket lines protesting the unloading of goods from the South African regime. 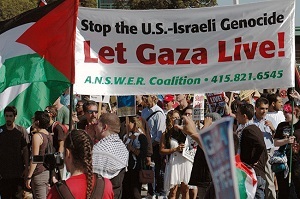 On August 17th, 2014 Palestine was once again victorious in Oakland, California. For the second day in a row the Bay Area community held off the Israeli Zim ship from unloading at the Port. Thousands of people rallied on Saturday and successfully kept the ship at Bay on its regular scheduled day. Today we got word that the ship had arrived and workers were being called to unload it. Within 30 minutes we mobilized over 400 people back to the Port. And we won! Workers honored our picket and stood on the side of justice, as they historically have. Oakland said no to Zionism and blocked the boat for an entire weekend. This is the first time in history that this has happened. Israeli apartheid is falling one port at a time! Palestine will be free from the river to the sea. Long live international solidarity and the struggle for liberation! 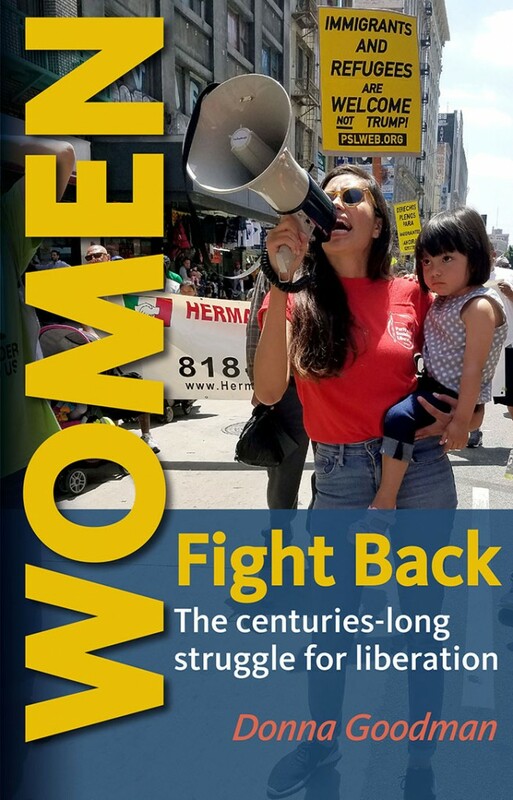 A coalition including the Arab Resource Organizing Center, ANSWER Coalition, Arab Youth Organizing, International Jewish Anti-Zionist Network and other organizations and individual activists mobilized people from across the Bay Area. . The call was to “Stop Israel at the Port, Zionism isn’t welcome on our Coast! The action was endorsed by over 125 organizations.